New York, NY (PRLEAP.COM) June 25, 2014: Miami photographer Brian Smith has been awarded Photo District News’ The Curator Award for his Fine-Art Photography of Urban Scenes. Each year, PDN searches for outstanding and undiscovered fine-art photography through their annual competition The Curator. The six winning photographers will have their work showcased in a gallery exhibition opening Wednesday, June 25, 2014 at Industrial Color in New York City. Smith first traveled to Haiti in his twenties for the Miami Herald to document the fall of the Duvalier government. Last year, he was given the chance to revisit his roots as a Pulitzer Prize-winning photojournalist, returning to capture the spirit of daily life in Port-au-Prince. 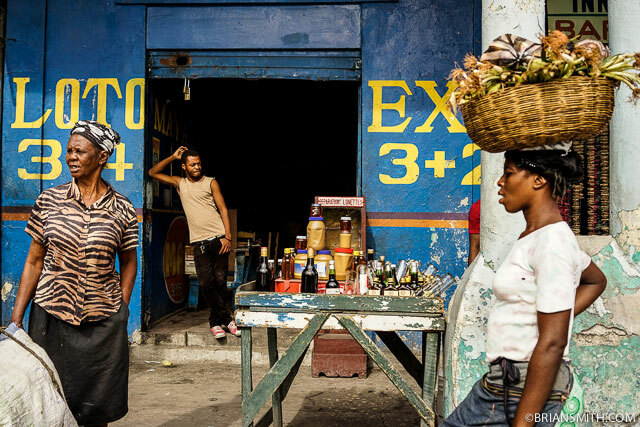 “Port-au-Prince, Haiti, lies a mere 700 miles off the coast of Florida – yet it remains a world away. Time seems to spin in a different direction than in the rest of the Western Hemisphere, largely due to natural disasters and the resulting economic instability. I hope these images capture the enduring spirit of the Haitian people and the beauty that exists amidst the chaos,” says Smith. The contest was judged by: Deborah Willis, Ph.D, professor and chair of the Department of Photography & Imaging at the Tisch School of the Arts at New York University; Patricia Lanza, director of talent and content at the Annenberg Foundation; Ariel Shanberg, executive director of The Center for Photography at Woodstock in New York; Yossi Milo, owner of Yossi Milo Gallery in New York City; W.M. Hunt, champion of photography: a collector, curator, consultant and a professor at the School of Visual Arts. This is the third major photography award for the series – which earlier this year won in the PDN Photography Awards 2014 and was chosen for American Photography 30. Miami photographer Brian Smith is the luckiest guy on the planet. He won a Pulitzer Prize at 25, told Bill Gates what to do for an entire hour, exhibited at the Library of Congress, appeared on The X Factor, dined with the President, shared cupcakes with Anne Hathaway, and gotten drunk with George Clooneyâ€¦ all in the service of getting the perfect portrait. His bold, iconic celebrity portraits have appeared in hundreds of magazines as Sports Illustrated, ESPN the Magazine, Time, Forbes, Elle and British GQ. His awards include the Pulitzer Prize, World Press Photo, American Photography, Communication Arts Photography Awards, Pictures of the Year, Best of Photojournalism and PDN Photography Awards.